Words by Kevin Doocey on March 2, 2010 . A pretty decent February came to an end and we’re top of the Coca Cola Championship on-course for a Premier League return, which is the most important thing. A month which saw us score a lot at home and get back to winning ways, away from home. Next up we’ll have Barnsley visit St.James’ Park and the last time we played these was away, in a 2-2 draw. We conceded in the dying minutes. Mind you, it was Marlon Harewood who played up-front in that match. A new shaped strike-force in the shape of Andy Carroll and Leon Best will more than likely start this Saturday. I say it every week but it’s true to say that every game in the Coca Cola Championship requires a full-team effort and no teams in this division are push-overs. Barnsley will be no different and they’ll come to St.James’ Park with the intention of heading backing home 3 points better off. We really should beat them, but they do have the ability to cause problems to our back pairing. 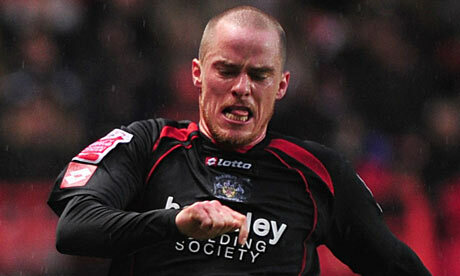 Iain Hume will always be a threat up-front with his height and he scored only last week in an important win for Mark Robins’s men. After that we’ll make the incredibly long trip to The Riverside where we’ll face an unpredictable Middlesbrough side. Under Strachan so far, they’ve been pretty strong at home but there away form hasn’t raised any eyebrows. Needless to say, it’s a derby and they’ll be up for it, however I’m hoping our lads will be too and can grab all three points. If we can manage 6 points in both of those games, and they are very doable, then we’ll have done well for the first half of March. Our priority must surely be to win every match from now until the end of the season and we’ve exactly 13 games left. As long as we keep up our scoring form at home then I think we’ll be alright against Barsnley, but then again, who really knows? It's not a derby? It's our only derby in the Championship this season that can be called a derby. shut ur gob bell, u cockney toon fan. of course boro is a derby!!!! !